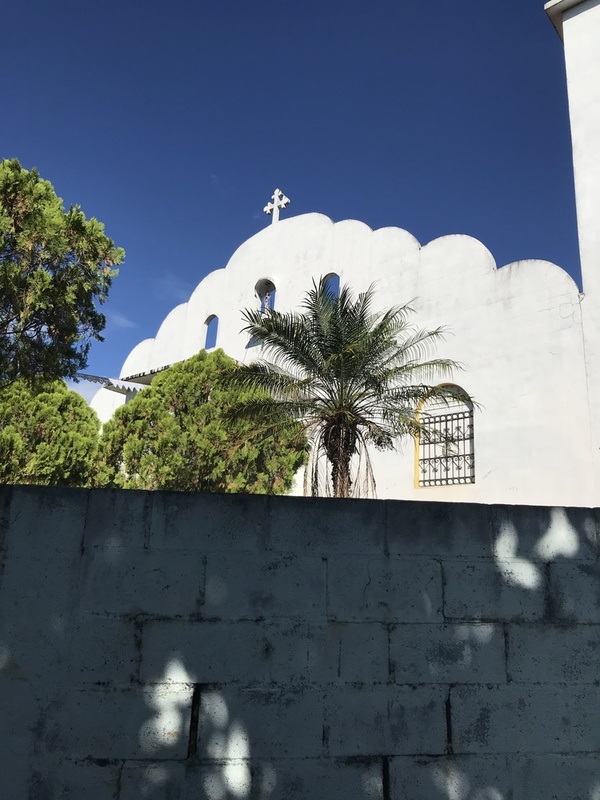 We support our parish mission by fostering deeper understanding, solidarity, and community with our Sister Parish of El Sitio, El Salvador. El Salvador is a small country in Central America that is bordered by Honduras, Guatemala and the Pacific Ocean. The country has been plagued by violence and poverty due to dense population and the struggles among the different classes. The conflict between the rich and the poor of El Salvador has existed for more than a century. In the late 1880s, coffee was a major cash crop, responsible for 95% of El Salvador&apos;s income. Unfortunately, the money went to only 2% of the population which consisted of a group of influential families know as "The Fourteen Families." Tensions between the classes grew and in 1932, Augustin Farabundo Marti formed the Central American Socialist Party. Peasants and indigenous people gathered together with Marti to oppose the government. In response, the government supported military death squads which killed anyone who looked Indian or may have been supporting the uprising. The killing became known as La Matanza (the Massacre) and more than 30,000 people died. Marti was eventually arrested and put to death. The struggle continued through the 1970s. Both sides continued to fight back and forth resulting in many assassinations and coups. When the presence of guerillas prevailed, the military reinstated the death squads to combat the rebel forces. In 1979, yet another military dictatorship overthrew the government. When the Junta made promises to improve living standards in El Salvador but failed to do so, discontent with the government provoked the five main guerrilla groups in the country to unite in the Marti National Liberation Front (FMLN). In 1980, El Salvador&apos;s civil war officially began. The El Salvadorian government supported the military and they targeted anyone suspected of supporting social and economic reform. The United States offered support to their government in order to help stop what it saw as another example of the spread of Communism expressed by the FMLN. Although the party did not claim Communism, many of its members were or they supported measures such as redistribution and resource nationalization. The U.S. consequently sent military resources and millions of dollars to stop the uprising. Human rights abuses and brutal murders against peasants and so-called revolutionary sources totaled to over tens of thousands. The victims included unionists, clergy, independent farmers, and university officials. Some of the most notable were Archbishop Oscar Romero (shot to death, 1980), four U.S. church workers (raped and murdered, 1980), and six Jesuit priests, their housekeeper and her daughter (shot to death at home, 1989). U.S. aid was halted briefly after the death of the four church workers but it was short lived. The military death squads destroyed entire villages believed to be assisting the guerrilla efforts. U.S. aid continued freely until the murder of the Jesuit priests and their housekeepers. After this incident, the US cut their military and economic support in half. Finally, in 1992, the war ended with both sides agreeing to concessions and signing the 1992 Peace Accords. While not solving many social and economic issues, it did slowly put a stop to the violence that plagued the country for many years. In 2009, Mauricio Funes became the first FMLN President in El Salvador. While several economic projects have been created by his administration, the country still battles with gross economic inequality and staggering unemployment. Today the village is made up of about sixty families, consisting of less than 300 residents. Either they were children at the time of the war that survived or they had all of them have been impacted by the war in some way. El Sitio is a farming village and the food grown on their land provides for their livelihood. Many farming and daily living activities are performed without the modern conveniences we are fortunate to have. Despite the physical poverty, there is a richness of spirit and love among the people who hope for a better tomorrow. Every spring St. Catherine of Siena Parish has a fundraiser called Operation El Sitio. This is the only fundraiser we have for our sister parish. Over the years, we have raised enough money to install working toilets for the students at their school and make the two village teachers full-time. This fundraiser also pays a small salary to a librarian to maintain a library and its grounds. Last year, we were able to give them enough money to repaint the school. Three teachers at the school do not live in El Sitio but in Suchitoto. It is a journey for the teachers to get to the school and most days it takes them three hours, round trip. It may include catching a ride, walking and/or taking a boat. The El Sitio high school students must also travel to a nearby village, usually on foot, to get to the high school. Our delegation last year saw a need and wanted to help them. Working together with the teachers and high school students’ families, we help pay for transporting the students to the high school and the teachers to El Sitio. We also aid in maintaining their water filtration systems for clean water. Donations to this fundraiser are always welcomed. New to St. Catherine in 2017 is a teacher/student educational support program. After 8th grade, a student&apos;s family must pay for their child to attend high school. Because of their low income, many families cannot afford a high school education. We know how important an education is! This program helps the children get an education which they need to be successful in improving themselves and their community. Government funding for education is very minimal. If there are more kids than money, those kids don&apos;t attend school. Last year there were nine children left out. Our educational support program will permit every child to go to school. Also, the government will only pay for three teachers to work at El Sitio’s school but five teachers are needed. Your donations will pay the salaries of those two extra teachers. We also encourage you to support a student or teacher by correspondence. Just like us, they need words of encouragement and love. Please look for our green brochures on the wall in the Narthex to see the three ways you can help this program. The delegation from St. Catherine has already seen success among the people and know their gratitude from our efforts. Solidarity is a huge part of our ministry. Hand in Hand is a wonderful way to form a bond with a family in our sister parish. Each time a delegation from St. Catherine&apos;s is planning a trip to El Sitio, a reminder will be put in the bulletin to write a letter to your assigned family. You can share things with your family and provide pictures. Letters will be translated before they are delivered. You can make a big difference in helping maintain the family-relationship that we have built with the people in El Sitio. The delegation is always looking for medications to take to the people in El Salvador. If you can provide any over-the-counter medicines please drop them off at the church office. Examples are pain relievers, allergy medicine, Neosporin, and Benadryl. Toothbrushes and toothpaste are also needed. Every November a group of people from St. Catherine goes to El Sitio. If you would like to join them on a trip please contact Avril Leach at 269-998-5978 if you have any questions about the ministry please contact Avril.